NOVA PLASFORM is one of our most popular products of Nova Formworks. It is an advanced plastic formwork with GI supported stiffner that are attached to the back of the panels. Best suited for all vertical and horizontal applications,these panels are strong and robust making it nearly unbreakable apart from being lightweight (15-18Kg/SQM). 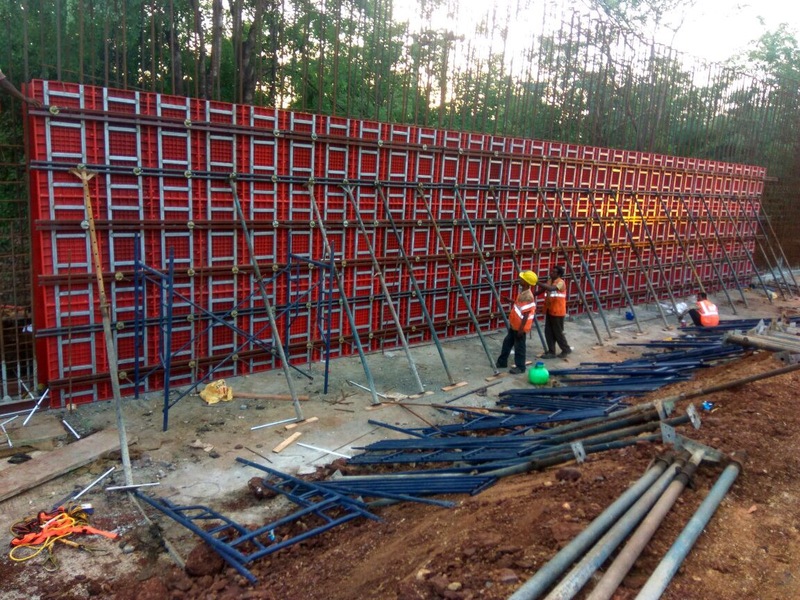 The same panels can be used in all applications like wall, slab , box culvert, column , drains and other concrete applications making it a multipurpose product. The panels are locked with a unique locking system with each other using plastic pins and wedges. The vertical lateral pressure of 6 Tons/SQM is minimum load taking capacity.